This striking split shank engagement ring with diamonds around the sapphire center gives the stone a graceful suspended appearance. 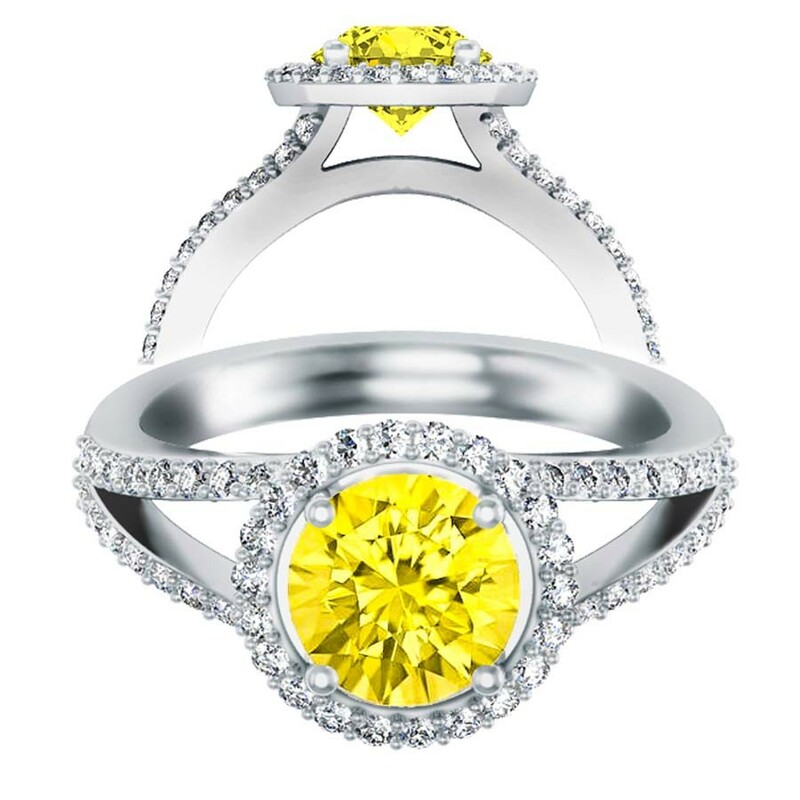 Available with either a 6MM or 6.5MM hand selected round cut yellow sapphire center stone. This striking split shank engagement ring with diamonds around the sapphire center gives the stone a graceful suspended appearance.